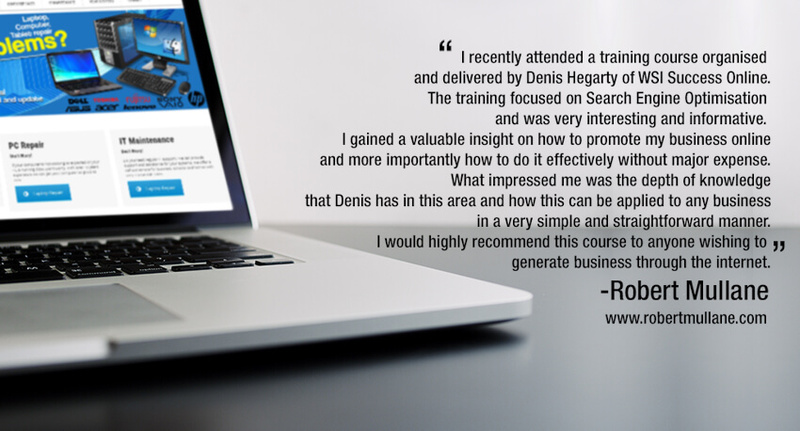 I recently attended a training course organised and delivered by Denis Hegarty of WSI Success Online. The training focused on Search Engine Optimisation and was very interesting and informative. I gained a valuable insight on how to promote my business online and more importantly how to do it effectively without major expense. 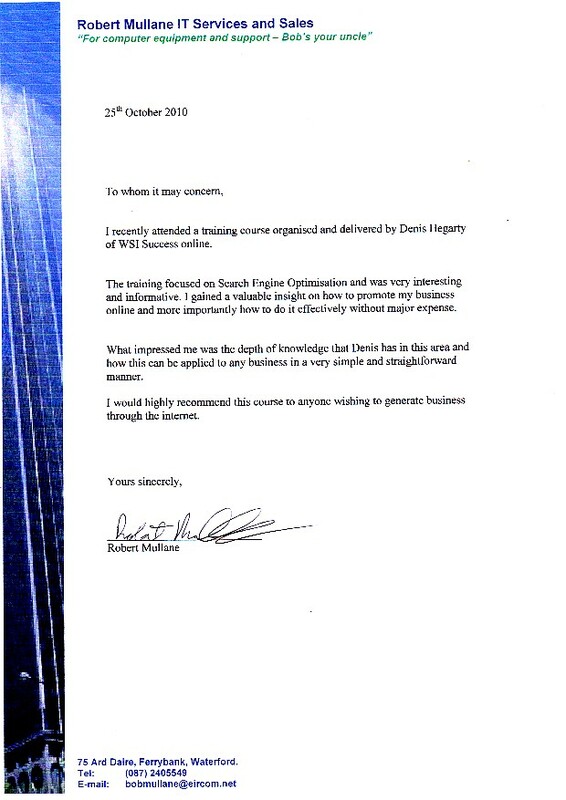 What impressed me was the depth of knowledge that Denis has in this area and how this can be applied to any business in a very simple and straightforward manner. I would highly recommend this course to anyone wishing to generate business through the internet.